Could you help to serve your Credit Union and help yourself while helping someone else? 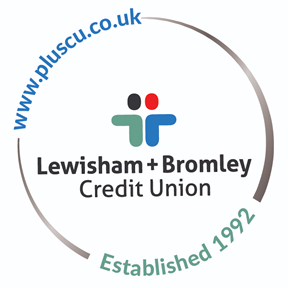 Did you know that Lewisham Plus Credit Union (LPCU), as well as having a loyal and hard-working staff, also has a large number of trained volunteers? Some of our volunteers have been with us since we opened 23 years ago while some have joined us much more recently, some serve as directors overseeing the running of the credit union as well as lending a hand during weekend opening while others prefer to help on a day to day basis with administrative tasks. However, there’s a role for all of us volunteers and there has never been a better time to get involved with volunteering with your credit union. We’re constantly trying to improve our services to members and volunteer involvement is a key part of this. Specifically, we are looking for new members to join the Board or to help with the Supervisory (internal audit) committee. For this we need members with a combination of relevant professional skills and experience, common sense, dedication, integrity and wisdom. Suitable candidates will need some financial experience or knowledge to enable them to fulfill their role. For the Supervisory Committee vacancies, a background in accounting and/or auditing is important. Work in these roles is mainly outside office hours. If that’s not you, don’t worry, we also need help with administrative support. Good communication and customer service skills are essential for this, as well as enthusiasm and discretion, and also a commitment to serving the local community and sympathy with the aims of the credit union. Some level of IT and finance experience and knowledge would be helpful, as would the ability to prioritise and work under pressure but training will be given for all posts. For all the positions good communication skills will be required as well as a commitment to serving the local community and sympathy with the aims of the credit union. All volunteers also have to be members of LPCU. How does all that help you though? Apart from the warm glow of knowing that you are contributing to the success of a really worthwhile organisation and the more efficient operation of your credit union, you will also receive free training from us, valuable experience in team working in the financial sector and in IT use, which is essential in today’s employment market as well as a track record in volunteering which is highly regarded by employers these days. Whilst we can’t promise anything, a number of our ex-volunteers are now working in paid employment. If you think you can help, please contact Tim Pagan, Director for Volunteers c/o the credit union or at volunteer@pluscu.co.uk for further information or with a completed volunteer form and current CV.